Standards are at the very core of all Cobuilder software. In order to help construction industry actors on their long journey towards digitisation, we have defined two general groups of standards one should look at: process standards and product standards. We base our products on the BIM-related process standards that are discussed as best practice internationally and in Europe. 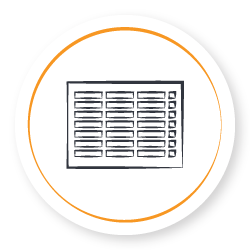 Our data management technology, on the other hand, is based on the hierarchy of standards and market requirements construction products are tested against. In this way we cover the ‘hows’ and ‘whats’ of construction product data in the digital era. Driven by the fast shifts towards digitalisation in the construction industry the EU has set up a programme to develop and define standards for BIM (Building Information Modelling) across all European countries. Among the first standards adopted by the European standardisation body CEN under the careful work of the technical committee 442 were the three openBIM standards. In October 2016 the buildingSMART International standards put forward by CEN/TC 442: IFD (ISO 12006-3:2007), IFC (ISO 16739:2013) and IDM (ISO 29481-2:2012) were officially adopted as EN standards. Find out more here. The work programme of the CEN 442 committee includes, according to the Vienna agreement and where appropriate, to make current ISO standards for BIM valid as EN standards. That is why, their work is carried out in close cooperation with the ongoing BIM standardisation by ISO committees. Currently, the draft standards ISO 19650 Organization of information about construction works – Information management using building information modelling parts 1 and 2 are sent for inquiry to be published as EN standards. 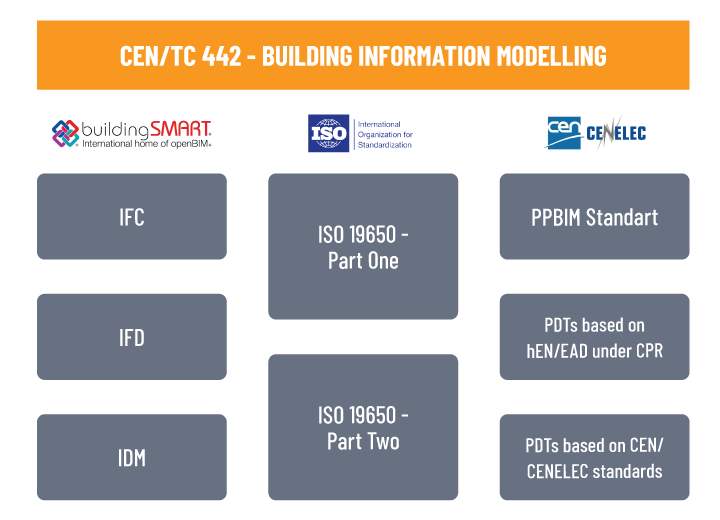 Collaboratively ISO and CEN have started working on standardising Product Data Templates – as member of the CEN 442 work group 4 Cobuilder is currently contributing with industry best practice for the creation of a PDT standard. This standard is now discussed as a Preliminary Work Item in the committee. When the CPR came into force it became mandatory for manufacturers of construction products covered by a harmonised European (hEN) standard or a European Technical Assessment (ETA) to draw up a Declaration of Performance in order to affix the CE mark to their products. How is that relevant to BIM? If a construction product is covered by a harmonised standard the manufacturer is required to keep to the methods for assessment and testing outlined in the harmonised standard. In the Declaration of Performance the product’s performance is to be declared in relation to the essential products characteristics tested according to the methods outlined in the harmonised standard. These essential characteristics are specified in Annex ZA to the standard. In regulating how construction product characteristics and their test methods are declared, the CPR creates a common technical language that is based on already harmonised set of rules and enables the reliable transfer of information across borders. This common technical language is an essential step for BIM in the way it is commonly understood as the process of digitising the construction industry through collaboration and seamless information exchange. This common technical language – based on standards lies at the center of the (Data Dictionary and) Product Data Template methodology. It is crucial to use such a language in order to create common data structures that can transfer data to any system as well as any language and any border. 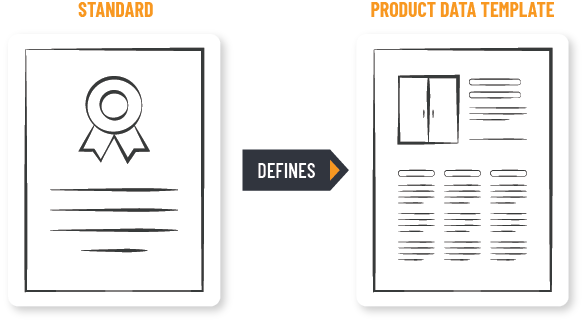 Read more about the Product Data Template here. Important assets that will have a great impact on the future Product Data Template standard are sourced from national BIM efforts. 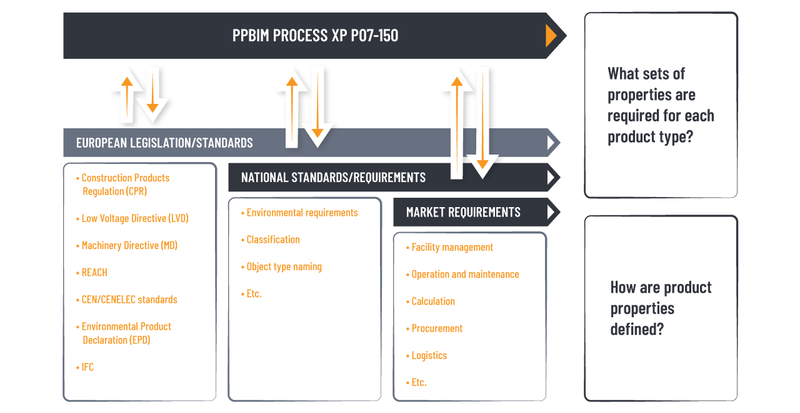 Most notably the French standard PPBIM (XP P07-150). Published in December 2014, the standard provides a methodology to define and manage construction product properties for digital use. 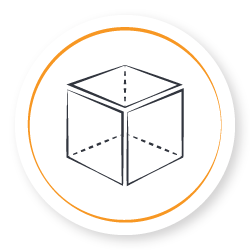 The principle is to connect every property to attributes such as the definition coming from a reference standard within a particular local context. The process creates a rigorous system of validation of all digital contents and defines how properties and property groups shall be established by users and experts in a data dictionary, as well as how this content shall be mapped to other data dictionaries. The objective is to allow quality information exchange between industry players for multiple uses such as the digital model, also for international trade and the needs for maintenance. This standard is now accepted within CEN/TC 442 WG4 to be discussed as part of the New Work Item Proposal (NWIP) for a Product Data Template standard. There are clear relations between the PPBIM process and the UK LEXiCON, with both initiatives describing the need for a process that enables creation, verification and maintenance of dictionary content by experts. The UK representatives in the CEN 442 work group 4 have officially supported the PPBIM process/standard through a common joint presentation for the members of WG4. As previously discussed, in order for manufacturers to be able to sell their products within open markets such as the European Union, the EU commission has created procedures on how to prove performance and intended use, for construction products (via the Construction Product Regulations – CPR), electrical equipment (via the Low Voltage Directive – LVD) etc. The testing and associated data that is created in meeting legislative frameworks such as the CPR and LVD provides the basis for most of the data that a manufacturer will need to share with its supply chain. It is the common agreement among the CEN 442 work group 4 that standards already set in place by CEN/CENELEC provide a common technical language to assess the performance of products and systems for construction works and infrastructure. This defines a ‘common context’ for translating product characteristics and their test methods into properties and property sets fit for digital use. The place to host the standard-based terminology? A digital data dictionary managed and maintained according to the PPBIm standard. 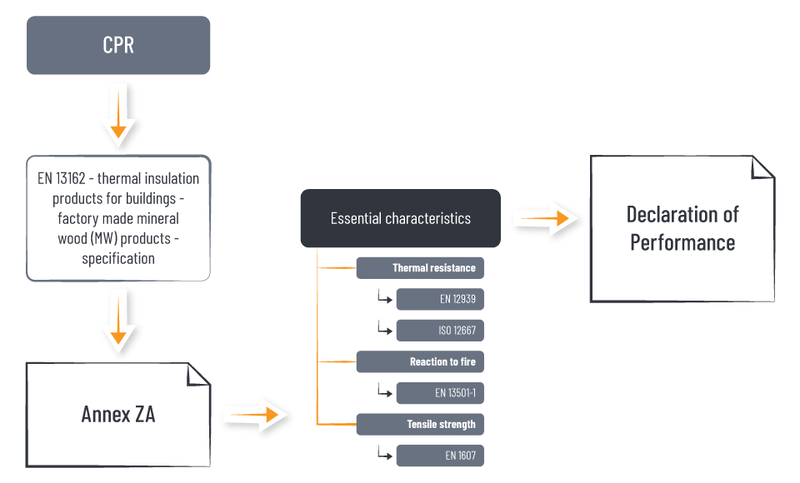 These resources are what Cobuilder suggests product data experts use in order to incorporate a common technical language and standards-based construction product data structure when creating Product Data Templates for the European construction industry. These insights are discussed as central concideration in the creation of the Product Data Template standard. The construction industry worldwide is moving towards a deeper level of standardization of all business processes across the built environment and there are many national and international initiatives to define best practices in information management for the construction sector. In the UK the series of standards PAS 1192 set up a the world-acclaimed leading framework for collaborative working on construction projects and the management of information requirements in the context of BIM. Furthermore, the UK BIM Alliance has started an initiative to define the best information management practices for clients in defining data requirements for the construction and management of assets. Worldwide, the Draft International Standard – ISO 19650-1 ‘Organization of information about construction works —Information management using building information modelling’ is developed as an essential document for the delivery of information to asset information models. Such standardization initiatives are essential for companies such as Cobuilder creating IT solutions for the sector. They are the needed guidance that Cobuilder recomends construction data managers and stewards should capture and translate into their ouw workflows. No matter if it is telemetry, IoT and machine learning that clients want – it is the underlying information management that truly affects the bottom line. Cobuilder provides consultancy services to all information management roles within the clients’, building owners’ and managers’ and general contractors’ teams. Our experts support information managers, according to the best practices set out in ISO19650 (soon to be EN), in their efforts to improve the process of determining the information (primarily data) requirements they should be requiring from the supply chain, namely the OIRs, AIRs and EIRs. Once the requirements process is clear we take on different implementation strategies to ensure the required construction product information is validated and verified throughout the delivery phase.